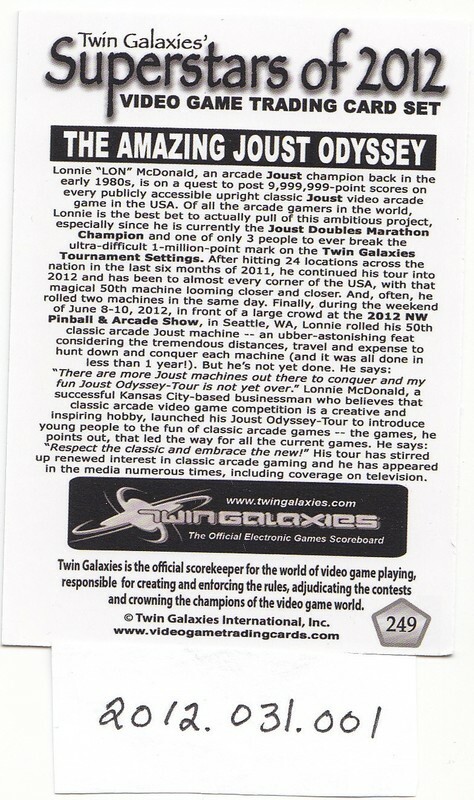 Twin Galaxies Superstars of 2012 Video Game Trading Card for "The Amazing Joust Odyssey"
Lonnie McDonald is turning over every joust arcade game in America, this card marks the 50th game rolled over ; done at the NW Pinball and Arcade Show, Seattle Center, June 8-10, 2012. 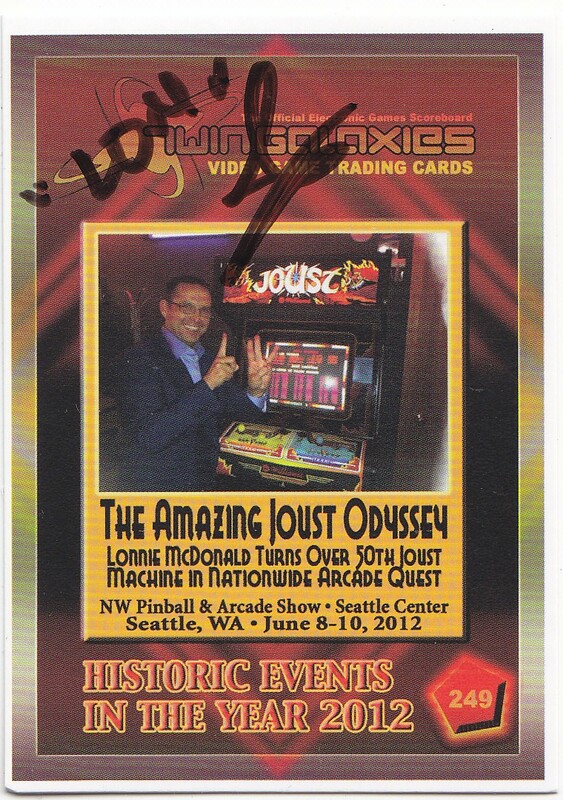 Card signed by Lonnie McDonald. “The Amazing Joust Odyssey trading card,” Digital Game Museum Collection, accessed April 24, 2019, https://www.digitalgamemuseum.org/collection/items/show/2359.